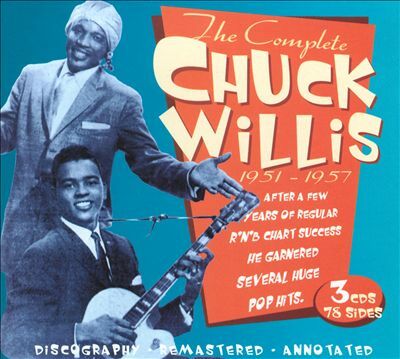 Chuck's career lasted only six years from 1952 until his untimely death in 1958 but during those years he had a terrific impact on the R&B and rock'n'roll markets and, had he lived, he would certainly have entered the soul era as a major contender. As it was, he had his fair share of hits; My Story, Going To The River, You're Still My Baby and I Feel So Bad in the early fifties and later with It's Too Late, CC Rider, What Am I Living For and Hang Up My Rock'n'Roll Shoes. This 3 CD box set follows Chuck's career from the early OKeh R&B days with the orchestras of Freddie Jackson, Leroy Kirkland, Quincy Jones and Ray Ellis, to his crossover hits on Atlantic with Jesse Stone's Orchestra when his regular sidemen were guitarist Roy Gaines and tenor man Gene Barge - and then on to the chart hits on which he employed legendary session musicians that included pianist Sam Price, bassist Milt Hinton and the great saxophonist King Curtis. We also get to hear how Chuck sounded live on stage on the two tracks It's Too Late and What's Your Name which were recorded in 1956 for Alan Freed's live WINS radio show. On these, Chuck was supported by Sam The Man Taylor, Big Al Sears and Hayward Henry - not to mention the bunch of screaming fans! 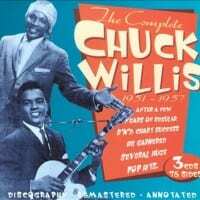 Chuck Willis was revered by fellow musicians and, after his death, they kept his legacy alive with remakes of his hits. Ruth Brown, Aaron Neville, The Dells, James Brown and Dean Martin all recorded his songs and I Feel So Bad was covered, not only by Elvis Presley but also by BB King & Bobby Bland, Foghat, Little Milton, Ray Charles and Greg Allman and It's Too Late has been recorded by artists as diverse as Eric Clapton, Otis Redding, Roy Orbison, Charlie Rich and Buddy Holly. 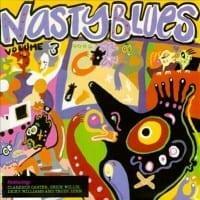 A great compilation from one of the most important artists in fifties American popular music.